The MobileSmith™ mobile app development platform can now be brought to you as a private cloud appliance – called MobileSmith Pod. This appliance can be placed inside your internal firewall to provide an independent Platform-as-a-Service (PaaS) instance, to facilitate the integration of your apps with your data sources. 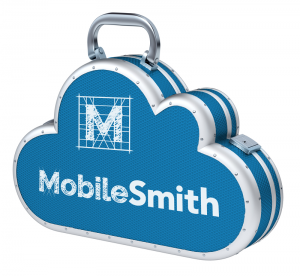 MobileSmith Pod is a reliable private cloud deployment solution we offer as an alternative to our regular PaaS model. As a Private Cloud Appliance, MobileSmith provides a quick, one-time deployment strategy that delivers your independent platform instance via the fully assembled and tested MobileSmith Pod, with the software stack loaded and configured. Who Would Benefit from Deploying the MobileSmith Private Cloud Appliance? Organizations whose regulations require that any Software-as-a-Service be installed in a private cloud, behind their firewall. Highly regulated industries where internal certification controls can be placed over the complete app environment. Secure environments where internal apps can be safely developed and deployed via internal delivery methods and internal app stores. Organizations who wish to reduce the barriers between mobile apps and the data sources that serve them. Design and build native apps in a WYSIWYG canvas. Configure and connect pre-coded AppBlocks. Instantly build your apps for testing or production for iOS and Android. Manage all of your end user app data securely in your private-cloud AppOffice. Schedule and send push notifications. Update app content in real time. Map your unique data sources to an XML data interface inside the appliance. Enable your apps to interact directly with your systems though your internal firewall. Implement flexible user authorization scenarios. Contact us to request more information about MobileSmith Pod, or to discuss your mobile strategy needs!